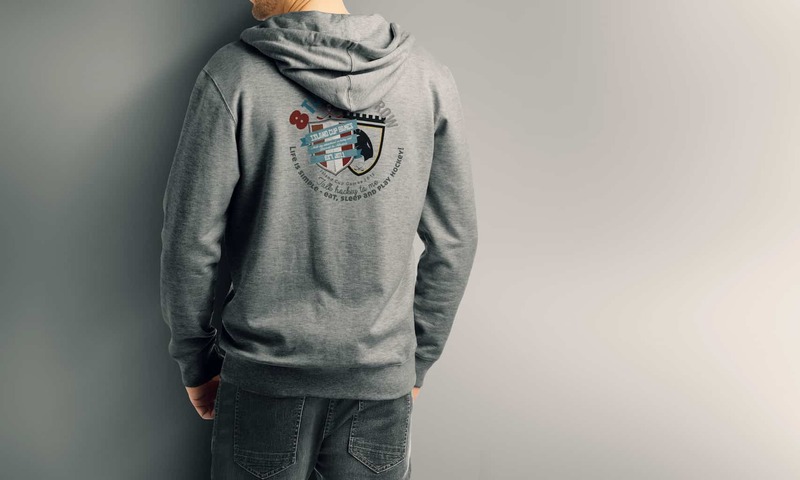 Men’s grey with dark blue hood printed on the back maximum A4 format (29 x 21 cm). Also available with a front print or in a white variation with a grey hood. Go to hoodies. And also available for women. This is your new favorite jacket! The thick sweat quality is softly roughened on the inside and a blessing on cool summer evenings. The stable and at the same time stylish workmanship with striking flatlock seams will inspire you. The masculine metal zip and the large metal eyelets of the hood cord provide the male features. The double hood is also very high quality processed with contrast lining. All cuffs are thanks Elasthan particularly comfortable and dimensionally stable. The large kangaroo pocket stores everything you need. The pictures with the prints are only to give you an impression. The hoodie comes in white with a grey hood or in grey with a dark blue hood.